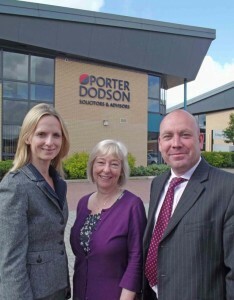 The end of June will mark the end of an era as wills, trusts and probate specialist Jill Griffin retires after 44 years’ service with leading Somerset and Dorset law firm, Porter Dodson. Jill is a member of Porter Dodson’s highly regarded Private Client team which is one of only four in the area to be recognised for its work in leading directory, Chambers UK. For the past five years Jill has been based at the firm’s Taunton office and during her time with the firm, has built up a strong reputation and loyal following with clients in and around the Taunton, Bridgwater and Langport areas, as well as her home town of Street. Jill’s clients will be well looked after by colleague Peter Cooke, who himself has over 20 years’ experience in the field and is a member of the Society of Trust and Estate Practitioners (STEP).